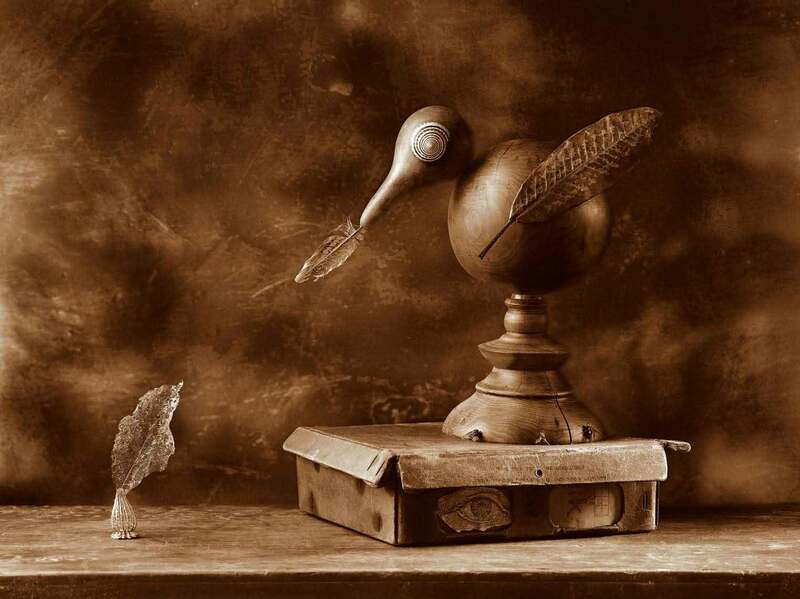 The Bird Who Forgot how to Fly - A sepia photograph of a fictional bird made of wood and shells and leaves who had unfortunately forgotten how to fly. The bird is trying to feed her chick symbolically portrayed by a leaf skeleton in the shape of a baby bird. Entirely shot in camera with one exposure on 4" x 5" film.